We have recently taken over part of the Convent Garden in Warminster. The area is sheltered and the soil is exceptional being naturally very fertile and with good drainage. Perfect for our needs! We now have the opportunity to grow even more of our wonderful seed varieties for you. 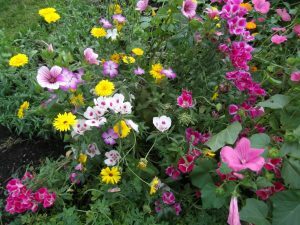 Flowers at the Convent Garden – mixed flowers for late summer.